I've created a new flickr set, for photos of some hat-related things that are unusual or just weird. 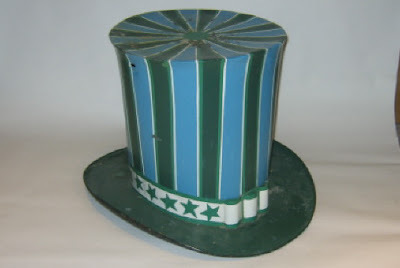 Here's one of the things I've added, it's a tin hat advertising sign from a 19th century hat shop. 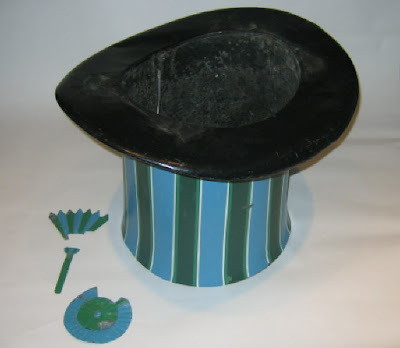 Notice the tin cockade, sitting next to the hat in the second photo!